Fall is here, the kids are back in school, Starbucks has pumpkin spice lattes again – all we need now is some cooler weather in Houston! After photographing several first-time parents and their babies over the last several weeks, I’ve been thinking a lot about what saved my sanity after each of my girls were born. Fortunately I had several friends who were veteran mamas by the time I had my first daughter and they were full of wonderful advice. The motherhood learning curve is so steep: learning to swaddle, soothe, nurse and bathe a tiny baby. Healing after delivery. Adjusting to much less sleep than you’re used to. In the midst of the challenges, there is so much joy. I recently photographed two brand new moms swept up in the moment of simply gazing down at their newborns. There is such beauty in those relatively minor moments. While my girls are past the baby stage, the moments when I watch them sleep soundly in their beds make my heart burst with happiness and I long to stop the clock, to keep them little forever. I’m passing along some helpful hints from myself and other mamas today for October’s monthly round-up of motherhood faves, especially for mamas of newborns. 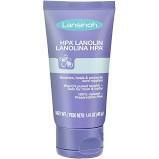 Lanolin is a lifesaver while nursing! In fact, the hospital always sent me home with a trial-size tube after the births of my daughters. It helps ease the discomfort you might feel during the first few weeks of nursing, and it’s all natural so you don’t have to worry about any negative effects for baby. You can pick them up at the grocery store or places like Target or WalMart. 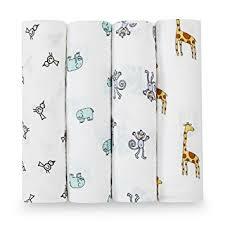 Another must-have for nursing mamas: Soothies Gel Pads. You can stick them in the fridge to pop in your nursing bra for relief if you’re experiencing some soreness after nursing. Paired with Lanolin, these pads make adjusting to breastfeeding a little easier. They’re pretty easy to find at grocery stores and places like Target or WalMart.